﻿ Flight of the Falcon Heavy. Flight of the Soul-Spirit. An analogy. Images (slides) with multiple photographs and texts. 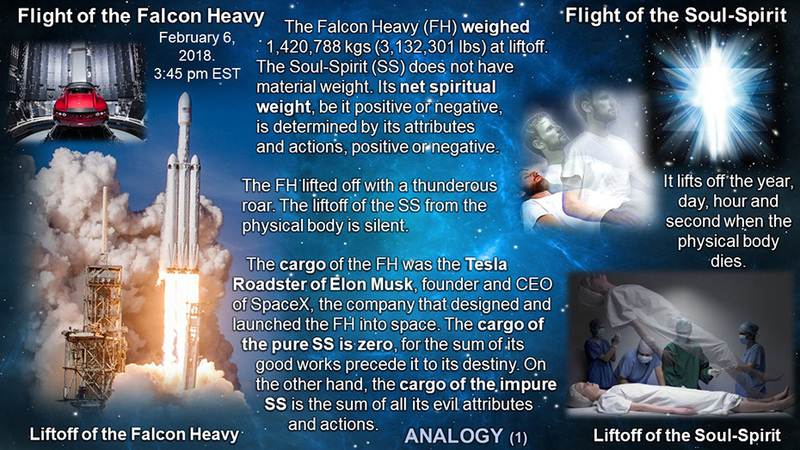 Spanish version of Flight of the Falcon Heavy; Flight of the Soul-Spirit. Only images (slides) in JPEG. Expository text not included. Versión en español de Flight of the Falcon Heavy; Flight of the Soul-Spirit -Vuelo del Falcón Pesado; Vuelo del Alma-Espíritu. Solo imágenes (diapositivas) en JPEG. Exposiciones no incluidas. Flight of the Falcon Heavy; Flight of the Soul-Spirit. An analogy. Part 1. Subject: Of weights, noises and cargos. Adaptable for classes, conferences or messages. Substantial text with a number of points and applications. The tense flight of Starman to the First Orbit. 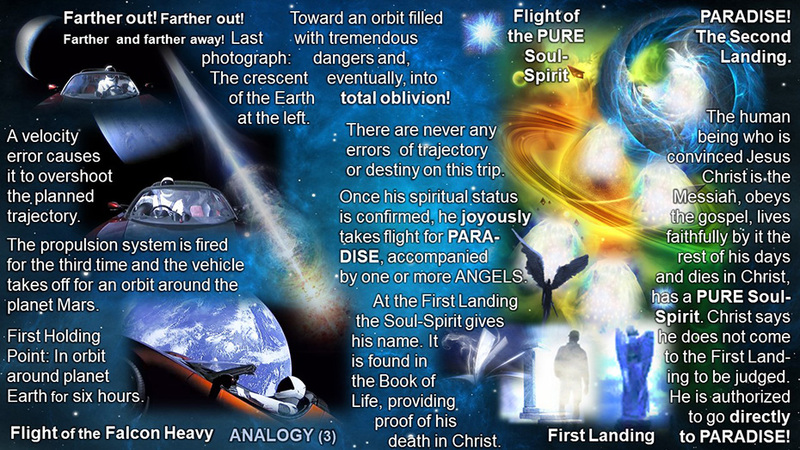 The obligatory flight of the Soul-Spirit to the Frist Landing. 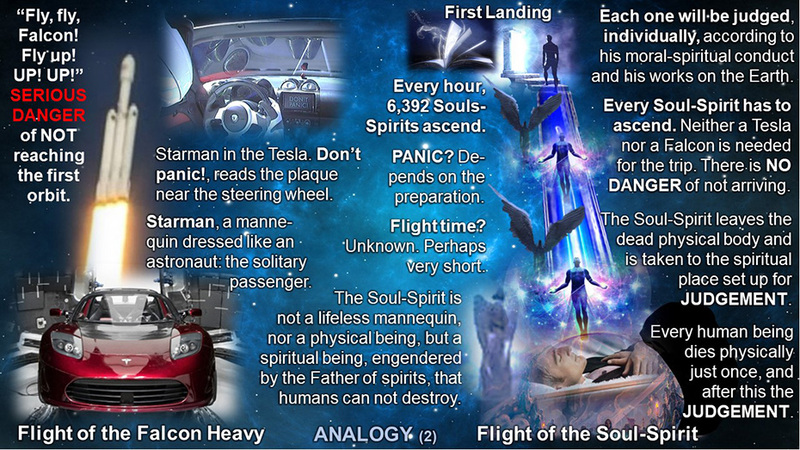 Part 2 of the series: Flight of the Falcon Heavy; Flight of the Soul-Spirit. An analogy. Extensive text. Only images (slides) on this Page, with links to expositions.